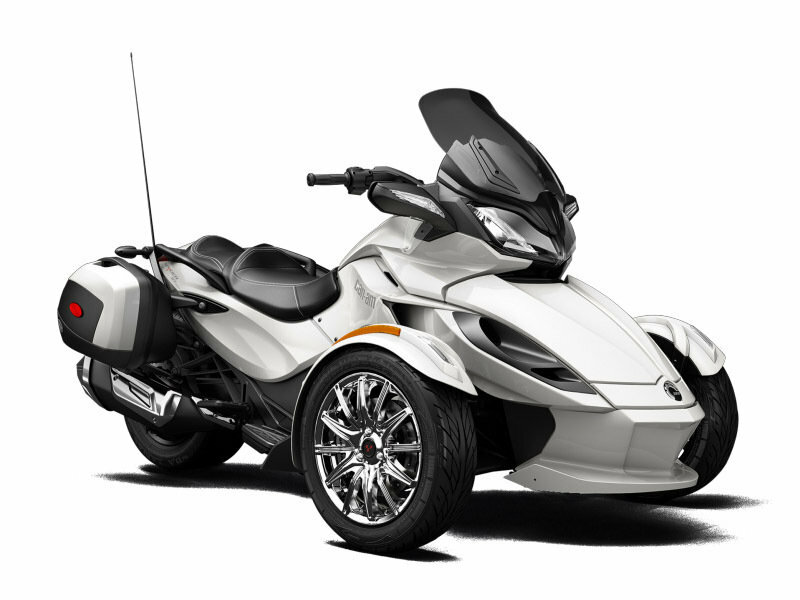 Can-Am calls this a sport-touring roadster, but with the added features of the Limited, it’s all touring, touring, touring in my mind. 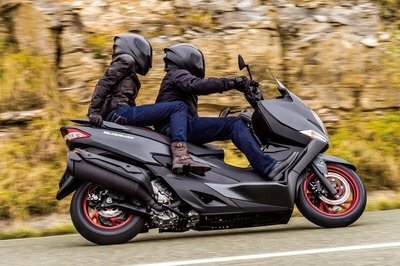 Starting at $25,149, the Spyder ST Limited is heading up into what I call the "midlife crisis" price range, but it’s the first bike I’ve seen in a long time that made me say, "Oh! I want one!" Everything I liked about the Spyder ST and ST-S are here and everything I didn’t like about them has been fixed in the Limited. Keep reading for my full review. Yes, the Limited has the same 998 cc engine that suggested "sport bike" in the ST-S, but look at all the touring features. In addition to the 12 gallons of storage in the front compartment, the Limited has removable rigid saddlebags that add an extra 18 gallons of storage, and if you add the optional 8.7-gallon storage compartment behind the passenger seat, wow, that’s a lot of storage. 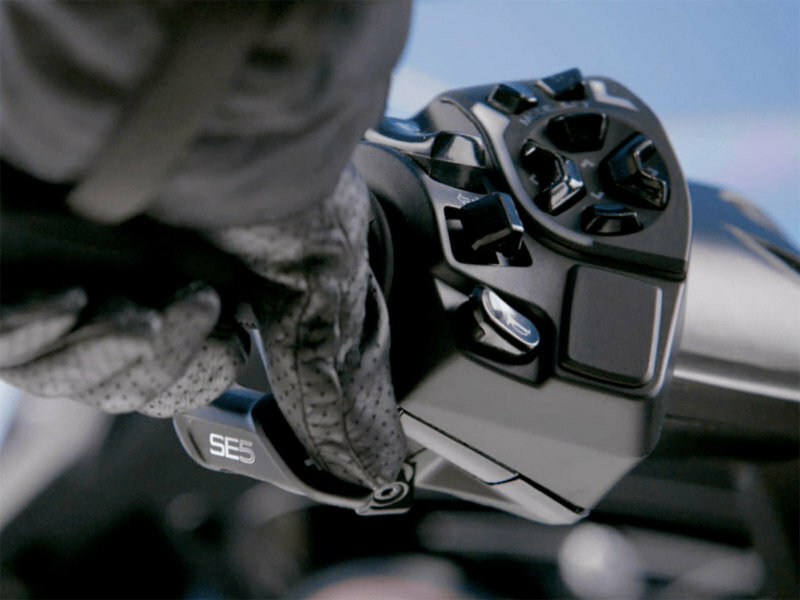 With heated handgrips, I don’t have to manage the straps and zippers trying to get my gear off with hands frozen into claw shapes. (What? You don’t ride in the cold? Don’t talk to me.) The Limited comes with an AM / FM audio system with iPod integration cable and two speakers. I like that, and you can’t have a touring bike without GPS, right? 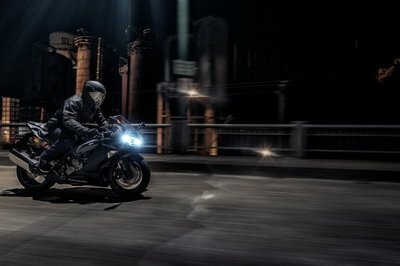 New for 2015, the Garmin Zumo 590 LM GPS with Bluetooth features 3D terrain view, live traffic and weather, and curvy roads routing. Curvy roads routing! I want that! 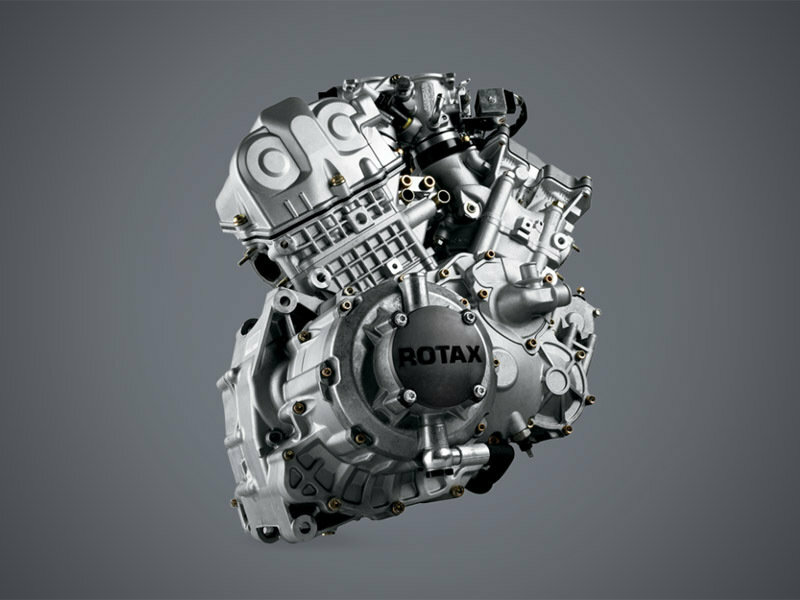 The two-cylinder, four-stroke, DOHC, 998 cc Rotax engine gives you 100 horsepower at 7,500 rpm, which isn’t shabby for a sport-tourer. 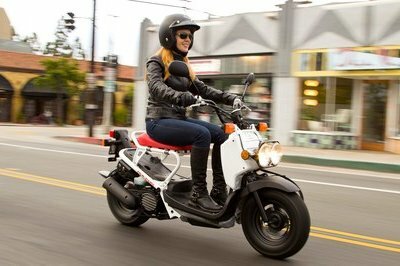 The smooth power pulses of the 60-degree engine give you a ride with low vibration. The Limited comes with the five-speed semi-automatic transmission with transmission-based reverse. I like that since I’m height-challenged and probably couldn’t roll the bike backward with leg power. Two things I really like about the Spyder Limited: grown-up paint choices and chrome. I didn’t like the carbon-black on the ST-S and I really didn’t like the clown-car paint choices. The Limited is more to my liking. It comes in a choice of pearl white, denim blue satin or steel black metallic — the black is my favorite — and the parts that should be chrome, are chrome, including the 12-spoke front wheels. Now that’s what I’m talking about. 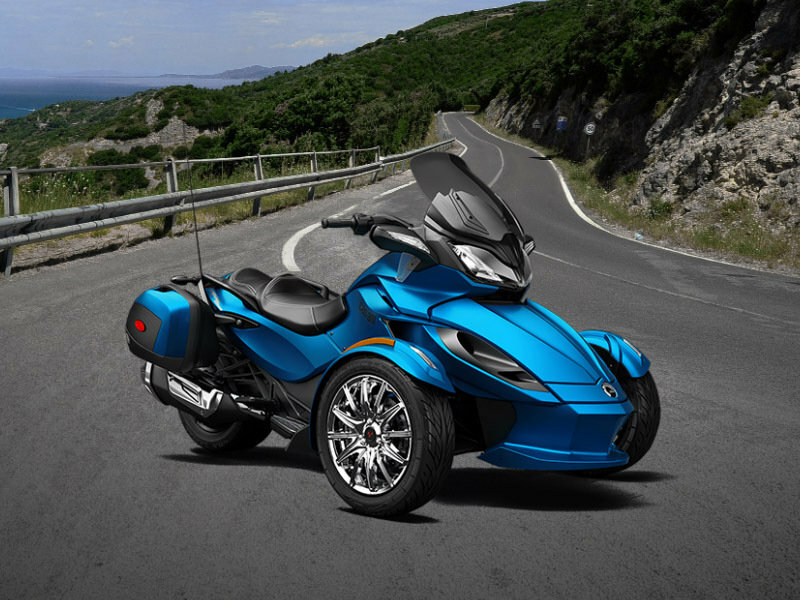 The three-wheel anti-lock electronic brakes — four-piston fixed calipers in the front and a single-piston floating caliper in the rear — were specifically designed for the Can-Am Spyder by Brembo, a world leader in brake technology. 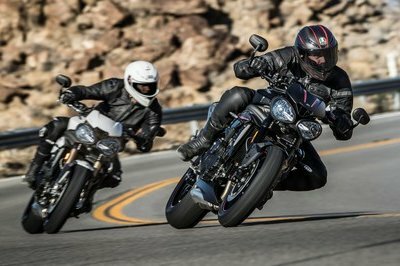 A sport rider might miss the feel and control of separate front and rear brakes, but as a touring rider, I like the three-wheel ABS. The front suspension on the Limited features a double A-arm with an anti-roll bar to minimize body roll when cornering and keep the tires on the ground. It’s called "precision handling," but I say it corners like it’s on rails. My husband and fellow writer, TJ Hinton, says, "I laughed out loud when I saw the color choices on the ST-S. The Limited has much better choices, and I like the chrome. There’s an old saying that chrome won’t get you home, but it certainly looks better than carbon black. It has plenty of storage space and towing capacity to bring along amenities when attending a crash-in-the-grass event." 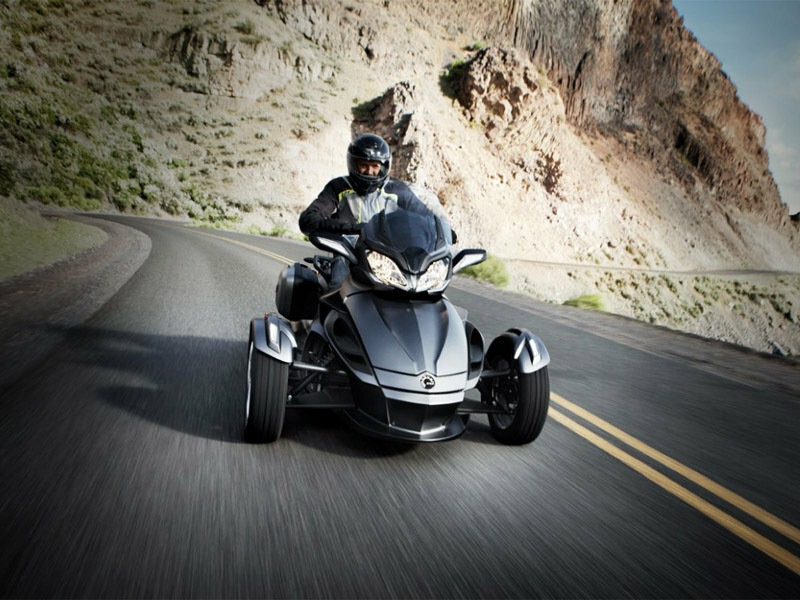 "Can-Am calls this sport-touring, and overall it does seem to fall into that category, but I really like the creature comforts such as the heated grips, the embroidered touring seat and the adjustable windshield and footboards. The GPS with curvy road routing is awesome. I want that."